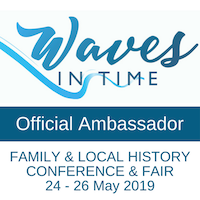 In the coming weeks Ambassadors for the Waves in Time 2019 conference will be introducing you to the speakers. You’ll get to learn a little about them, their expertise and what they will be sharing at the conference. Today’s featured speaker is Stephanie Ryan from the State Library of Queensland. I wonder if you could tell us a little about your background? Are you a genealogist, researcher, historian or representing your organisation? I have been a librarian specialising in family history at the State Library for 23 years. What do you love most about genealogy/family history/history/heraldry? The challenge of resolving a mystery and the opportunity to assist people find something of value to them. Have you attended a History Queensland Conference in previous years? How do you think your topic/s will help the family & local historians at the Waves in Time Conference? The options for finding ‘lost’ 1860s’ immigrants may assist those who have been continually frustrated in their search during this period. Do you have a favourite piece of advice or a tip or trick you can share with conference attendees? Explain what you really want to know, what you have checked and with what result. Do not just ask for a resource; there may be better ways to do it. It lessens the risk of being told what you already know. What do you think are the benefits of attending a large conference like this, for you personally and for others attending? Great to catch up with friends. Wonderful opportunity to update knowledge. Digitisation of newspapers (all parts) up to the present and publicly available. Thanks Stephanie for sharing your story. I know I’m looking forward to learning more from about the “lost” 1860s immigrants as I have a few I’d like to find. I’m sure we all join her in wishing every single newspaper could be digitised. If you haven’t already registered for Waves in Time 2019, remember the clock is ticking. Even if you can’t join us for the whole conference perhaps you’d like to learn more by visiting the Friday fare. Check the program out here, and register here. Disclaimer: As a Waves in Time Ambassador I receive a free registration in return for promoting the conference in various social media forums and on my blog. This series of blog posts is part of the A to Z 2019 Blogging Challenge in which I will write snapshot memories of my early married life in the then Territory of Papua New Guinea. Clouds drape the mountain ridges. Villages, jungle, new faces, new names. A far cry from suburban Brisbane. Five trade stores, government offices, a new town. Our first home – my in-law’s government house where we lived while they were on posting to Port Moresby. Site of battles and conflict in War. Revisiting the house in 2012. The ADC told the DC that the ETA on the DC3 was 0900. The price of love and commitment. Explanatory Note: Alotau was the relatively new headquarters of government administration in the then Milne Bay District in the then Territory of Papua Guinea. Aftarim – fancying another person and pursuing/flirting with them. Aigris – giving someone the eye if you fancy them. 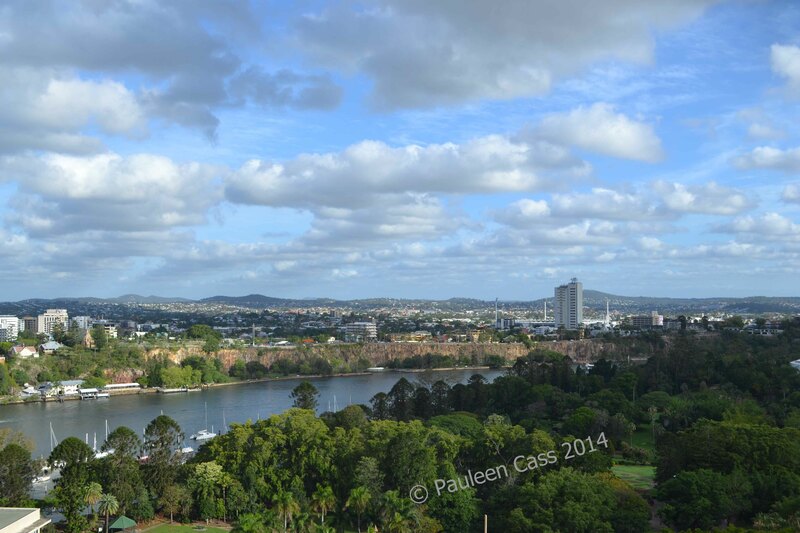 The amazing view from the family’s government house – on a clear day. Do you ever have the feeling that your more distant branches on the family tree are rather like Swiss cheese, full of holes with tenuous structure? Please bear with me while I think online – I’d be interested in any feedback other genimates can offer. I’ve been revisiting my McCorkindale (aka McCorquodale and many variants) branches and correspondence with a Canadian cousin. In a lightbulb moment I’ve concluded, tentatively, that I was missing a sibling for my 2xgreat grandfather, James McCorquodale later McCorkindale. I absolutely love Scottish Records for their broad information especially when one gets to civil registration from 1855. Another virtue is that the woman’s maiden name is retained in the documents (generally). McCorquodale etc is a relatively uncommon name except in their heartlands of Argyll so maiden names can be very helpful. And then there’s the traditional Scottish pattern for the children’s names. However, can you be sure you have the first, or only, marriage for your person? Let me get down to nuts and bolts, but first let me give you a summary of the cast of this story. 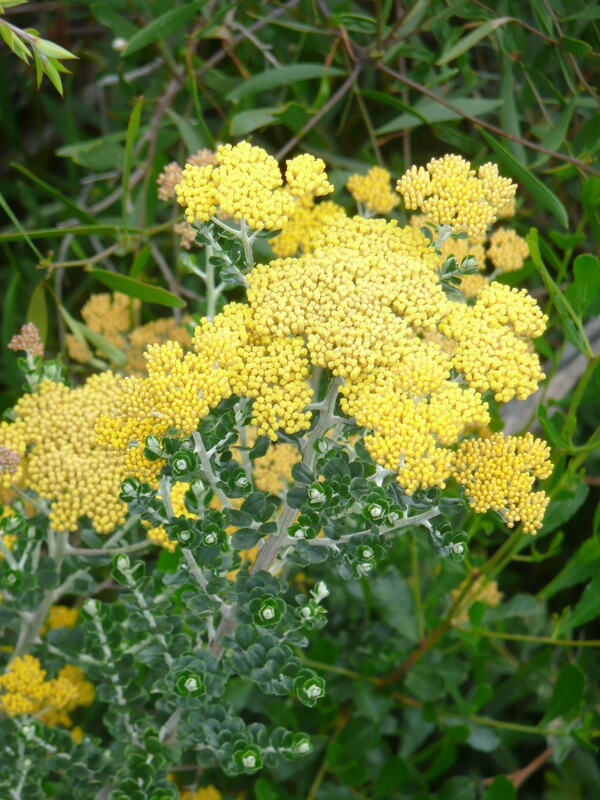 Throughout this post the surname McCorquodale can be implied unless otherwise stated. I was lucky to have received a copy of my great-grandfather’s (James’s) baptism record from my grandmother. It was also obliging of him to state his birth place, on the census, as Inistrynich near Cladich on Loch Awe. This gave me confidence that Duncan McCorquodale at Cairndow was my correct ancestor. This enabled me to find his parents Duncan#1 McCorquodale (aka MacQuorquodale etc) and Anne Campbell who married in the parish of Glenorchy and Inishail on 25 April 1791. Son James was born on 14 March 1808 and only today have I deciphered where the register says his parents lived: the Gatehouse near Cladich. Previously I had Drimuirk. Given we’re in Campbell country my chances of pinpointing the correct parents for Ann are slim to none. Searching the LDS microfilm for the parish of Glenorchy and Inishail, I long ago identified the following children to Duncan #1 and Ann[i]. But wait, was Duncan’s marriage to Ann in 1791 his first marriage? And was his father therefore called Hugh? There is another marriage of a Duncan#1 McCorquodale to Margaret Keith/McKeich and this couple had two children: Dougald b 8 March 1788 christened 20 March 1788 and Sarah b 2 Jan 1790 christened 4 Jan 1790, both in Glenorchy and Inishail. There are no further children to this couple and for some time I’ve considered the possibility that Margaret died after Sarah’s birth, and that Duncan’s marriage to Ann Campbell was his second. Unfortunately, our research at this time is constrained by the absence of burial registers and I found no indication of mort cloth rentals in the Kirk Session records for Inishail. This ambiguity will probably remain into the future. I’ve managed to find marriages and/or death records for James’s siblings and there is a track record of longevity in the family. Duncan#1 is shown as 80 on the 1851 census[ii], making it feasible that the marriage to Margaret could be his. Unfortunately he dies between 1851and the comprehensive certificates of 1855….drat!! However, his children’s death certificates (from Scotland’s People[iii]) all show his occupation as a weaver, even though he listed himself as an ag lab on the census records…possibly seasonal occupations. You’ll notice that Duncan #3 here is the second son, named after his father’s father whereas the first son is named after Isabella’s father, Malcolm Morrison. James’s brother Hugh had also had a son named Duncan #2 who was born on 20 Feb 1832 at Inveraray. The cousin written to, Duncan McCorquodale #2, is the son of Hugh (above) and grew up near the McColls and was a similar age to Duncan#4 McColl. Duncan#2 was a gardener. He is found with is another cousin, Malcolm (born Strachur, son of James) working as a gardener with Duncan #2 (born Inveraray) at Kilbride in the parish of Dunoon, Argyll in 1861. Malcolm and Duncan#2 are cousins[iv], which tends to imply that Duncan#4 McColl is also a cousin of Malcolm’s[v], my ancestor James (Malcolm’s brother), and Duncan #3[vi]. The nice thing is that Duncan#2, who received the letters, is the great-grandfather of my Canadian cousin. So, my question became: Is Duncan#4 McColl a cousin through his father or his mother? Allan McColl had married Catherine McCorquodale in 1829 in Inveraray and Glenaray Parish. By the time of the 1841 census, they had four children: Duncan#4 born 1830, Dugald born 1833, Nancy b 1835 and Evan born 1838. Catherine was 35, making her YOB between 1801 and 1806[vii]. The family don’t appear in the 1851 Scottish census and this is clarified by the notation on Canadian census records[viii] which state Duncan#4 McColl arrived in 1850. Allan McColl is the son of Dugald McCall and Mary Cameron so that eliminates the cousinship at paternal first cousin level at least. This in turn adds weight to Catherine McCorquodale being a sister to Hugh and James, and daughter of Duncan#1 and Ann Campbell. The birth years of the other children don’t preclude her being part of this family, but it’s unfortunate that I’ve not found a suitable baptism for her when I trawled the parish registers. Unfortunately I haven’t been able to locate a death for Catherine McCorquodale McColl in Canada…this may be down to my novice experience with Canadian records, or her death may fall in the pre-1869 period when civil registration didn’t apply (experts please feel free to add/correct). I’ll be writing more about the McColls in another post. However, meanwhile I’d appreciate my genimates’ opinions on the logic behind my argument, thoughts for proving it somehow, and any other feedback. And if you’re confused about all those Duncans and Hughs, you’re not alone…and that’s without getting into the Catherines, Euphemias etc. How I’d love to visit the Duke of Argyll’s archives at Inveraray Castle…one day. [iv] Verified by Scottish Marriage certificate 1859 644/7 124 of Duncan (#2) McCorquodale and Jane Ann Shaw in Glasgow. [v] As an aside, Malcolm and his wife would later migrate and raise his family in Nailsworth, Gloucestershire before emigrating to Sydney, Australia. Throughout Malcolm retains the original surname spelling of McCorquodale. I wondered sometimes if this was too big a leap of faith in the connection, however his death certificate in Sydney records his parents correctly as James and Isabella. Not at all coincidentally he had named his home “Cairndow” after the home of his youth. [vi] Meanwhile, James’s second son, Duncan#3 (confused yet?) migrated from Argyll to Glasgow, typical of the era. Duncan#3 was my great-grandfather. He died in Glasgow but his widow and all but one of his family emigrated to Australia in 1910. [vii] This census rounded down the ages of adults to the nearest 5 years. [viii] 1901 Census, Ontario, District 95 Northumberland, Village of Campbellford. In breaking news from Unlock the Past, I’m excited to learn that the genealogy conference to be held in Seattle USA, will now be livestreamed to DNA enthusiasts world-wide. The presenters will be Blaine Bettinger (USA), Maurice Gleeson (UK), Cyndi Ingle (USA) and Wayne Shepheard (Canada). What a stellar lineup! Unlock the Past is now offering an online package which enables us to watch all the talks presented in Seattle, either in real-time or subsequently for those of us in very different time zones. Of course for those who can readily travel to Seattle there’s the option of attending in person – lucky people. At $US65 ($A90 or Euro57 or GBP51, approx) for 10 livestreamed presentations, it looks like a tremendous bargain to me. No matter where we live we can share in the experience and learning with those at the venue. I know I’m going to be watching the presentations, either live and/or afterwards and I now feel like I’m not missing out on all the fun. You can read all about it here, check out the program here, and book for the livestreaming through this link. Isn’t it great how technology lets us all share in these events? I’ve just begun an e-book of short stories, A First Place, by David Malouf. Absorbing stories written by Australians always seem slightly disorienting, so accustomed are we (or is it only me?) to reading books whose settings are elsewhere. Which came first, the sense that “other is better”, leading to the exodus of much of Australia’s talent, or the relative weighting of other and local? One story, A First Place, is about growing up in Brisbane and how its particular topography and lifestyle defines not only who we become as adults, but how we think. That certainly gave me pause for thought, and I can’t decide the merits of the case, but is that because it’s part of me? Brisbane is a hilly city – not mountainous, just hilly, where travelling by car or foot anywhere involves the negotiation of hills. From a large-scale view, the hills are not so obvious, it’s when one is on the ground that it becomes so much more apparent. One of the earliest things a Brisbane learner-driver has to come to terms with is hill starts in a geared car. After nearly two decades of living in flat-as-a-tack Darwin I sometimes forget I have to change gears or use more power when going up a hill. Our geography does change our daily patterns. Taken from a hotel in the CBD, this view is to the south. Malouf posits that the topography of the city means “it shapes in those who grow up there a different sensibility, a cast of mind, creates a different sort of Australian”. The hilliness of the city means that its residents miss the long vistas of flatter cities like Adelaide or Melbourne. They become accustomed to new views at every rise, and this may make them restless in the absence of variety, as well as precluding a clear map of the mind. I’d suggest it might also inculcate a sense of mystery in the same way that a door into a garden, rather than shut you out, makes you more curious what lies behind…or is that, once again, the Brisbane girl in me? He’s certainly correct that it gives the legs a good workout, especially if you grew up relying on Shanks’ pony to get you everywhere – something that’s noticeably absent from Darwin’s flatness, and the laziness that tropical humidity generates. He also talks about the river’s unusual snake-like twisting through the city: one of the reasons the flooding a few years back caused so much damage, as it has in the past. Add to that the relative lack of bridges forcing the traveller to negotiate twice as many suburbs as a direct route would allow. The river conspires to shut off vistas as do the hills, but I think it also opens up a sense of a city of two sides on both banks. Brisbane River snakes through the city and here, the CBD. You can see some of the bridges -the one in the centre is a new pedestrian bridge, called the Kurilpa Bridge (or the Knitting Needle Bridge as I do). 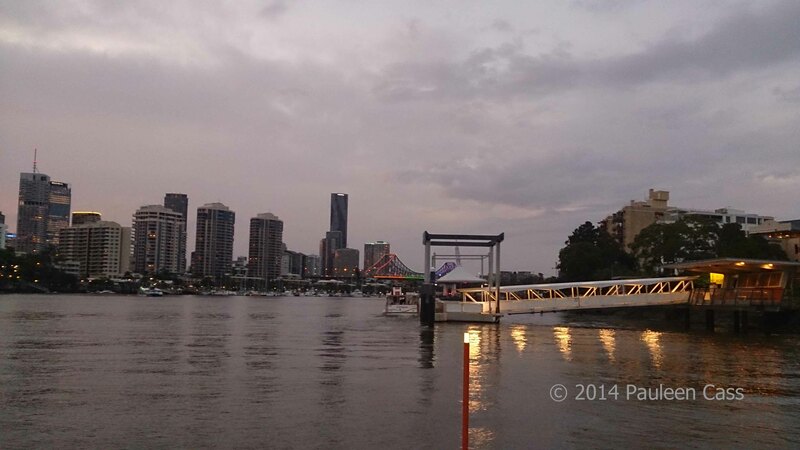 Now that the river has become an active character in the Brisbane landscape with the arrival of the City Cats (ferries) along with the riverside walkways, it does open up the city in a different way. In much the same way as the hills, it makes you wonder (if you don’t already), what is round the next corner. No wonder a river tour has become so popular over the past decades. The hills and river combine in a story my father has handed down. I often wondered whether it was something he’d made up, even though it made eminent sense, until a friend whose father was also a born-and-bred old Queenslander confirmed the same story. In the pioneering days, the drays would travel across the city along the ridges of the hills when the river was in flood. My father did much the same when my cousin’s house was in imminent risk of flooding back in 1974, helping him to get his belongings up to the ceiling before the flood hit (reaching very close to the ceiling – two floors). 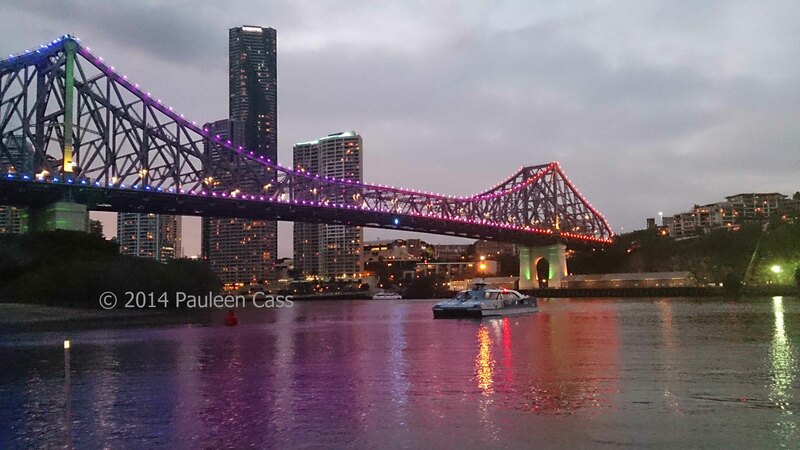 The Story Bridge at sunset, a city cat, and in the distance my school, one of Brisbane’s heritage sites. 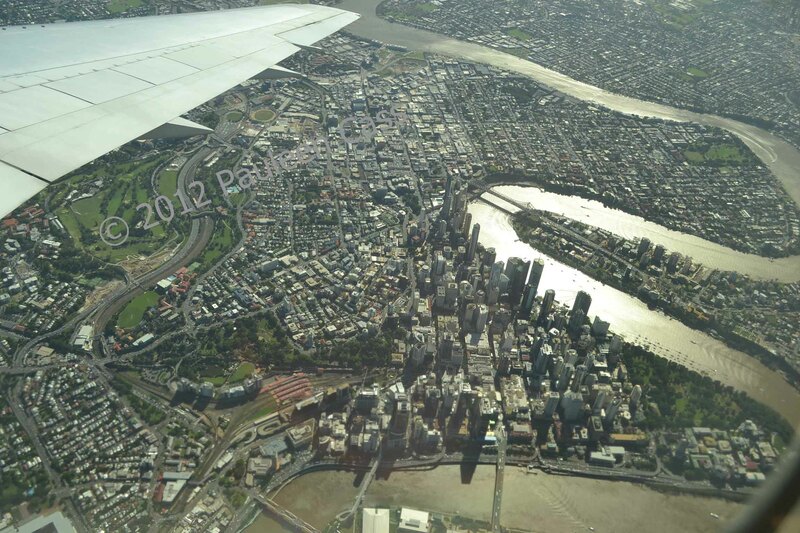 As Malouf says, Brisbane has a radial design, striking out from the city centre. In the days when few families had their own car, this meant that setting out on a journey could make two suburbs seem immeasurably far apart, and mystifyingly disconnected. This is how I experienced visits to my grandfather at Buranda from Kelvin Grove, or family friends at the outside reaches of Mt Gravatt. It wasn’t until we acquired a car, or until I travelled more by car, that the geography of the city started to make sense in a quite different way. The CBD of the city may be suitably laid out in grid-fashion (and flat) but not the rest of the place. Motorways (and bus lanes) cut through suburbs like knives now, but the new tunnels and underpasses generate a lack of knowledge of the landscape above, until one pops out, bandicoot-like, at the other end, hopefully in the right place, or somewhere you recognise and can navigate from. Although not in a hilly street, the home my grandparents once lived in is a good example of the Queenslander style of house. Malouf also has a theory that Brisbane’s tree-house-like homes, built on stilts to accommodate the hills and introduce breezes, affect the psyche of those who grew up there. His argument is that their openness, with doors always ajar, introduce an element of not-seeing, not-hearing as appropriate to the circumstances. The timber of the building moves in a way that brick structures do not, and are more vulnerable to climate as well as protecting the family from it. I’m not entirely sure that I agree with his thesis on the effect of Brisbane (or more accurately, tropical, housing). 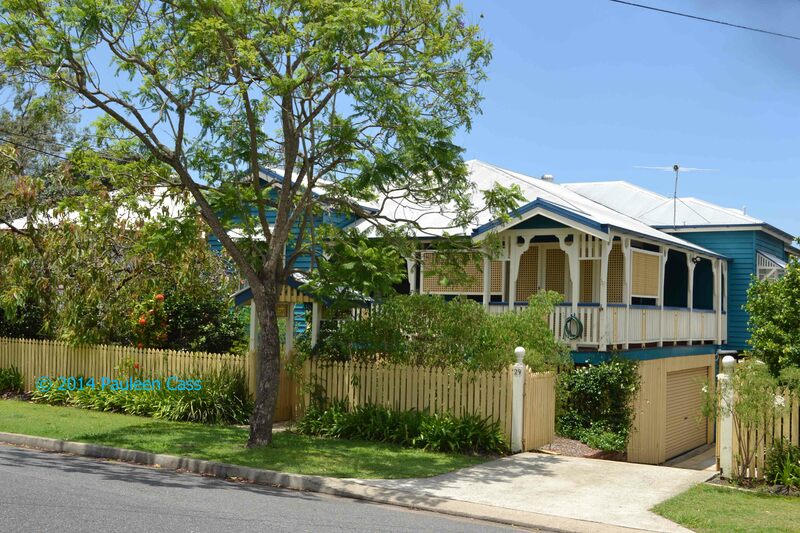 It seems predicated on a particular type of house, the old Queenslander with its encircling verandahs rather even than post-war timber housing, and certainly not on the more modern brick bungalow or two-story house. On the other hand, doors are only shut here because of air-conditioning so perhaps he has a point. “Under the house” is a different world from that above where all serious living takes place. Home of the household washing machine, tubs, wringer or boiler, Dad’s workbenches and the kids’ play area, it has a sort of wondrousness about it as well as a daily practicality. It offers the chance to explore what Malouf calls “a kind of archaeological site”, hosting as it does all sorts of odds and ends that have found their way to rest there, as well as on-going practical items. This space certainly features prominently in my childhood memories of both my own home and that of my grandparents next door. I used to love using my grandfather’s vice to crack the Queensland nuts (now known as macadamias) which grew on our tree. Usually enclosed by timber battens, “under the house” is both open and yet secure. Surely this experience is different from those for whom a basement may serve similar functions? Malouf asks himself “what habits of mind such a city may encourage in its citizens, and how, though taken for granted in this place, they may differ from the habits of places where geography declares itself at every point as helpful, reliable, being itself a map”. I suspect it gives your internal GPS such good training that ever after you are more able to understand other places. 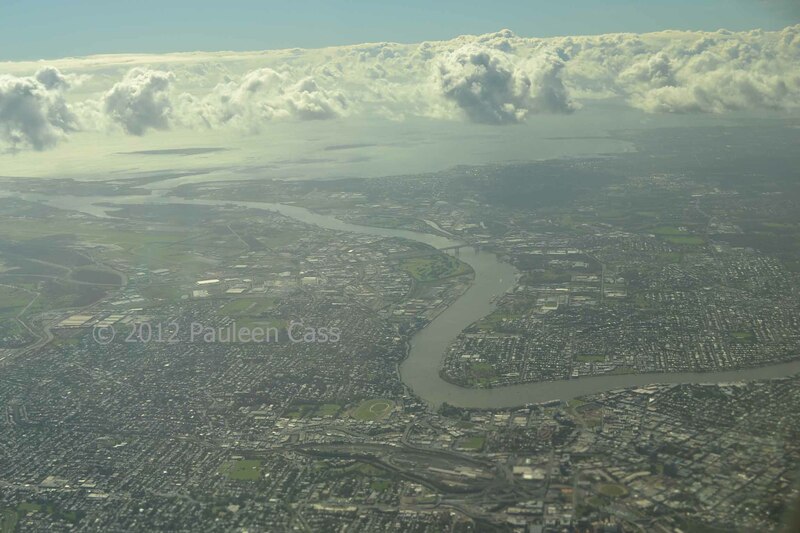 The Brisbane River flows out to Moreton Bay -you can see the Gateway Bridge here, dwarfed by altitude. Very kind of the pilot to take the river and city route that particular time -doesn’t happen frequently, and then you have to have the camera ready too. If a good writer’s goal is to make one think, and challenge our internal assumptions, then Malouf has achieved this for me today. Have you thought about the impact of the geography of where you grew up? Do you think it has affected how you see the world psychologically and emotionally, your habits and sense of the world’s geography. Book: A First Place, David Malouf. Random House 2014. A collection of personal essays and writing from David Malouf to celebrate his 80th birthday. This includes the following short story: A First Place. 1984 Blakelock Lecture. 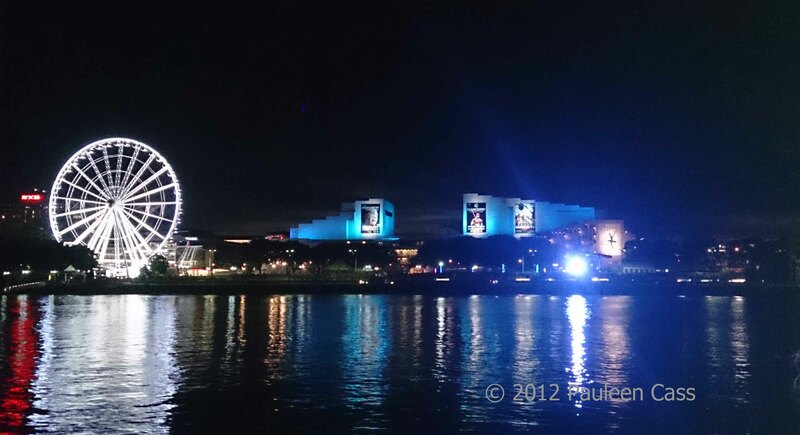 Like so many cities, Brisbane has its own sight-seeing ferris wheel. Adjacent is the Cultural Precinct. After the excitement of boarding and meeting people on Day 1, Day 2 was all about learning from, and listening to, the variety of presenters on the cruise. I can just see that we are going to have quite a work load when we get home following up all the tips that have come our way. So who and what was on our learning smorgasbord for the day? Chris kicked off the conference with his usual lively delivery of a topic near to our hearts – the family treats that lie hidden in newspapers. He listed various options overseas and reminded us not to forget the Gazettes for London, Edinburgh and Belfast. He also talked a little about Broadsides on the National Library of Scotland site: 1 page papers with 1 story: “sale of a wife” anyone? Not as well known as the British Newspaper Archives are the Welsh Newspapers Online, Manx National Heritage, the Scotsman Archive and Irish Newspaper Archive. Key message: Check which editions of the paper has been digitised or microfilmed as it will affect the content you are likely to find. This is something I discovered re Australian Women’s Weekly editions on Trove which appear to be the NSW edition, so Queenslanders won’t necessarily find their edition of social pages. Jill Ball: Beaut Blogs –what makes one stand out from the crowd? Jill is another dynamic and engaging speaker who relishes her topics. She shared her perspectives on what makes a great blog and showed us examples from the blogs she followed. If you’ve been ambivalent about blogging, it’s likely that Jill will persuade you. There were a few takers on lessons about setting up a blog. Jill says “content is king” and a blog should provide unique fare, catchy post titles, an opening hook, consistently solid work and be a joy to read, informative and fascinating…not a lot to ask! Key message: Check out Inside History’s Top 50 Blogs Inside History’s Top 50 Blogs to see which blogs they recognise as fitting the “beaut blog” criteria. Helen offers great advice on really studying every element of a document or certificate rather than jumping to the one item you were hunting for eg a maiden name. It’s so easy to just miss important elements so transcribe the document exactly as it appears then analyse it and it may reveal nuances that you didn’t at first see. Key message: Look, really look, at your certificates and documents. Transcribe them and study them again. Rob Hamilton: What does Freemasonry offer genealogists? I knew from nothing about freemasonry so I found this an interesting presentation though I suspect from a particular perspective. Rob showed how symbolism can reveal much about our relative’s involvement in a lodge. Using examples it was obvious just how much detail we can obtain from membership records. You may find the details of their Lodge on funeral notices when Lodge members were asked to attend. Key Message: Write to the secretary of the Lodge where you ancestor was a member and ask for information. Noeline’s talk focused on the earliest female immigrants and their lives. Unfortunately I have no female ancestors who fitted this timeframe but, to an extent, her messages about their lives apply to our later immigrants as well. As if we weren’t all replete after our delicious dinners in the restaurant, Kerry served us up food for our minds at this post-dinner presentation. This was a great talk dense with information and covering the vast diversity of immigration to Australia. We were reminded, among other things, to consider that our ancestors may have fudged their ages to meet the age selection criteria to obtain government assistance. Key message: Buy Kerry’s upcoming Unlock the Past book on Immigration. This will be a goldmine of the information we were provided with in this presentation. I know I’ll be buying one! Notebooks filled and brains overflowing with information we retired for the night with lots to think about. Melbourne in the morning and more on-the-ground research opportunities for some people. 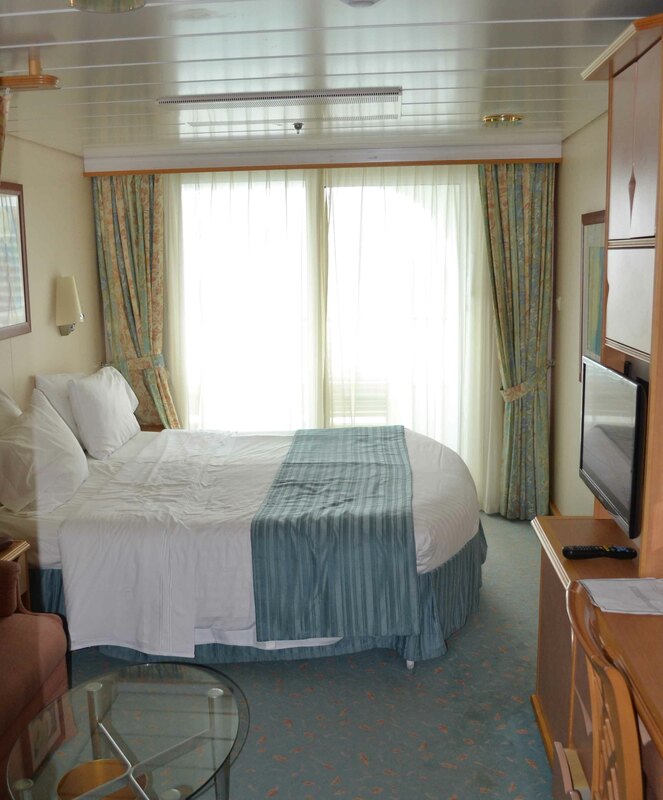 No fancy photos today people as I didn’t even look out my cabin door today…busy, busy. Nor did I remember to photograph any speakers. G’day cobbers, how’re you going? Hope you’re feeling grouse. Australia Day is coming up so it’s time for another dinkum-Aussie challenge. Since quite a few of us are gearing up for the next Unlock the Past cruise, I thought I’d make it a quick and easy geneameme for those who wish to participate, eh. 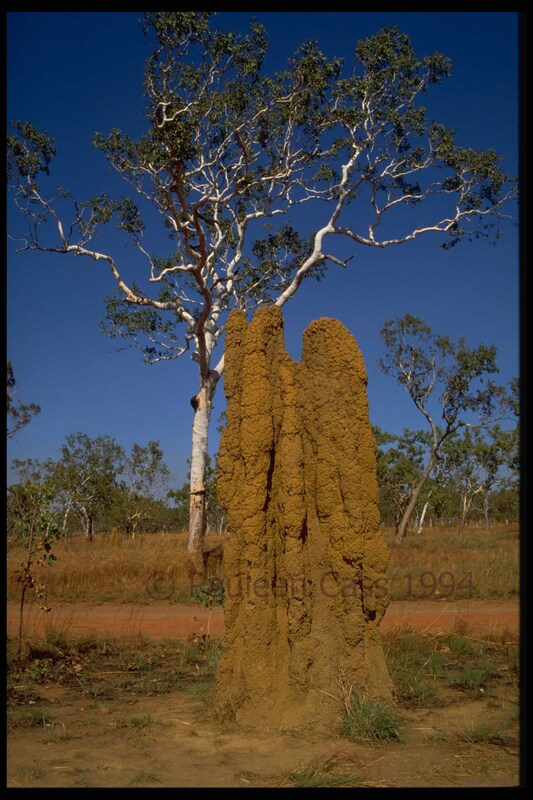 Let’s see how deep your roots go into our Aussie soil. Do you have Australian Royalty? If for you Australia Day is Survival Day, tell us your family’s story and show up our Johnny-come-lately status. The geneameme comes in two parts: one to test whether your family is ridgey-didge and the second to show us how Australia runs in your veins, without any flag-waving and tattoo-wearing. Shout it out, be proud and make everyone wish they lived in this wide brown land of ours. Feel free to add and subtract and even add a short story at the end. The world’s your oyster, so have a go! C’mon Aussie C’mon C’mon. Did any of your ancestors arrive under their own financial steam? How many ancestors came as singles? How many came as couples? How many came as family groups? Did one person lead the way and others follow? What’s the longest journey they took to get here? Did anyone make a two-step emigration via another place? Which state(s)/colony did your ancestors arrive? Did they settle and remain in one state/colony? Did they stay in one town or move around? Do you have any First Australians in your tree? What occupations or industries did your earliest ancestors work in? Does anyone in the family still follow that occupation? Did any of your ancestors leave Australia and go “home”? What’s your State of Origin? Do you still live there? Where was your favourite Aussie holiday place as a child? Any special place you like to holiday now? Any great Aussie adventure you’ve had? What’s on your Australian holiday bucket list? How do you celebrate Australia Day? I’ve just realised that entirely coincidentally I came up with 26 questions for 26 January…how bizarre is that! Feel free to post your responses any time in the coming week and I’ll collate them on the Australia Day holiday. Please leave a message about your post in the comments (WP.com doesn’t like linky lists). Otherwise use twitter tag #ozday2014. Thanks for joining in mate. Thanks to Rebel Hand for inspiring me for the midnight inspiration to set up this challenge, following in the 2013 steps of Helen Smith and Shelley from Twigs of Yore in 2012 and 2011. ( Psst, there’s still scope for someone else to add another, non-geneameme, challenge for the day). She also mentions that we may want to leave a capsule with our home’s heritage for someone who later lives in your house, or another to celebrate and anniversary or event, as was done last year for the Queen’s celebrations. If we use a real capsule, what will choose and why. Julie’s also got a link on this topic on YouTube here. We have the option of doing Prompt 8 quickly, or taking our time and doing it over weeks or even months. There are occasions when I wonder if we’re just fighting time and ageing or if it is ego-centric to hope our life’s detritus will mean something to anyone else. On the flip side, there’s that wish all family historians hold dear, that we had some special ancestral item, diary or letters….and then I think, perhaps it’s not all about us after all. Perhaps it’s about capturing a slice of normal life for history, rather than the big picture that formal history will focus on. 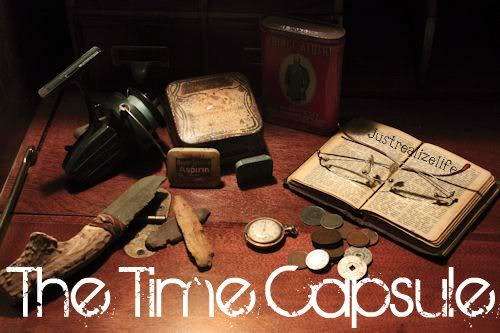 At the moment the nearest thing I have to a time capsule is my memory box which has many of my bits and bobs from over the years. Nothing of any financial value at all but a trace, of sorts, of my life so far. What is required is some system to be brought into it, and perhaps notes as to why I thought each thing is important or relevant. The meaning of some of the inherited objects we own. Little or no financial value but each item can bring a flood of memories to me…but at present will mean nothing to anyone. Will leaving some story with them, give them meaning to anyone else I wonder? What will they go in? I don’t know but it will have to be transportable easily and also waterproof is my first guess, at least while we live in the cyclone-prone tropics. It might even be a book of blog posts relating to our lives eg this Book of Me. Meanwhile if you want to read a brilliant post on this topic why not visit Kim at KK Genealogy. As you know I’ve been out of the loop for the past six weeks or so, in fact 2013 has been quite disruptive in terms of blog reading. Even more so in terms of commenting so I’m frantically trying to catch up. So please forgive me if you haven’t seen me visit, I may have been one of those “ghost” visitors who read but don’t comment. You may have been doing better than I have, but these are just some of the posts I’ve found interesting. There’ll be more to come as I nibble my way through the pile. Angler’s Rest’s Remembrance Day Photo Collage not to mention Julie’s block buster success with the Book of Me, Written by You which has taken off like a rocket with genies and writers alike. You can write publicly, you can write privately, on paper or computer….and while the series has reached Prompt 7, you can still join in and start writing….I have. Jill Ball on the 18th Annual Computer Conference for Seniors and an intriguing post on “journaling” for your family history: innovative and challenging ideas, thanks Jill! Isn’t this a gorgeous garden by Gigi Thibodeau of Magpie’s Fancy, complete with gardening tips. The Armchair Genealogist brings us Four Steps to a Family history Timeline. Researching Limerick from Crissouli at As They Were. Also her tip about the new Destination Australia site. 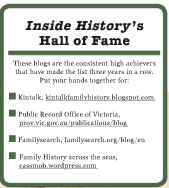 Good links and tips from Aillin at Australian Genealogy Journeys about Autosomal DNA and from Olive Tree Genealogy on Understanding your DNA results. GeneaMusings gives up info on what databases Mocavo searches. Thomas MacEntee on backing up your genealogy data and a link on how to opt out of Google’s use of your name and photo with ads. Have you added Thomas’s Hack Genealogy blog to your reading list? How about Kerryn’s post on Generationism – have you got all the current Gens sorted in your head? Kerryn discovered she was a Generation Jones. I’m relieved to discover I’m a still a ridgey-didge Baby Boomer. Also intrigued that GenY covers such a broad span. Helen from Helen V Smith’s Keyboard reminds us that it’s time to think out our genealogy Christmas gifts. But if you want a non-genie present, how about this dreamcatcher from Molly Moo –I thought it was really cute. And if you have Donegal ancestors, how about the Atlas of County Donegal as mentioned by Irish Genealogy News or Gould Genealogy’s recommendation of the Biographical Database of Australia. And an older post, contemplating the topic of Historians Ask: Who is our audience? from Stumbling through the Past. And thanks to links on others’ blogs I’ve found some more free clip art or stock photography at rf123 and FreeDigitalPhotos. Crissouli from As You Were has asked fellow bloggers to respond to this questionnaire. The objective is to use the variety of responses to help field questions from new or thinking-about-it genealogists. Crissouli does so much for others the least we can do is help out, so here’s my response. Why not help out with your own feedback? 1. What is the most important detail you want to find about your ancestors? Knowing about their daily lives in Australia and where they originated overseas. Obviously I need names and dates before I can go down this path, but it’s my ultimate goal for my ancestral families. 2. Do you buy certificates? Absolutely!! I really don’t know how research can be done without certificates, either bought, borrowed or buried in archival sources. When our children were younger and the family budget was committed, I’d ask for them as Christmas, birthday, or Mother’s Day gifts. 3. Do you belong to a paid subscription site, if so, which one/s? Yes: Findmypast is my favourite but I also have Ancestry. I’ve used others in the past but not currently. 4. What has been your ‘best’ find? The latest snippet of discovery? But if we’re talking about pivotal finds, then the church record for the marriage of my George Kunkel and Mary O’Brien. I posted about why it was so important here. Or perhaps actually finding Mary O’Brien from County Clare. 5. Who is your favourite ancestor and why? Maybe the one who has been giving me the greatest challenge most recently. 6. What are you looking for on a regular basis? Any little snippet of information that sheds light on my ancestor’s lives. And I’m still searching for some immigration records even after 27 years. 7. Do you belong to any genealogy group, or family history society? Yes, currently Genealogical Society of the Northern Territory and the Toowoomba & Darling Downs Family History Society. I’ll rejoin the Genealogical Society of Queensland and the Queensland Family History Society when I return to Queensland to live. Societies have so much to offer the new, and continuing, researcher to expand their knowledge and skills. 8. Do you belong to any Facebook or other social media genealogy groups? Would you join if there was one available? Yes, but I’m not as active as I could/should be. 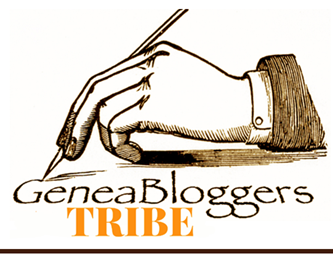 Geneabloggers is my main social media group. 9. 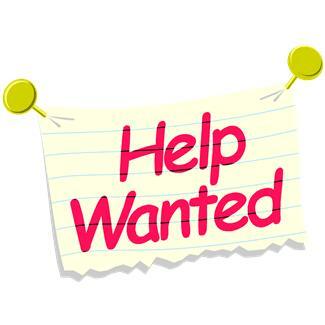 Have you ever volunteered to transcribe, index etc.? Would you be interested in doing so? Yes but not for a while. Time to start again? 10. What is your personal reason for being involved with genealogy/family history? I started because I wanted to know where my German surname originated and who I inherited it from. What’s kept me going are curiosity and the ability to keep learning about people, history, society, and technology. I can get just as engaged in researching a friend’s family history as my own. And, for what it’s worth, some general advice to budding researchers.